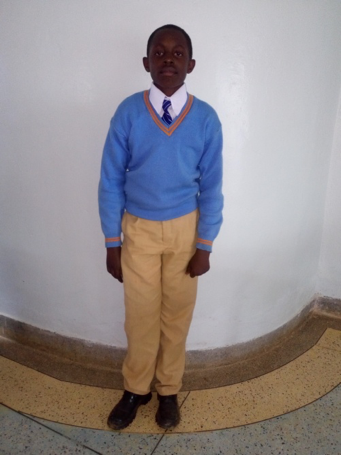 PAUL YONGO OTUI - Male age 15 at 2017 Form 1 (Orphan from children's home). 3. Favourite school subjects Physic, Mathematics and Chemistry. 4. Least favourite school subject Geography. 5. Favourite activity or activities. Playing football and Basketball. Are your father and mother still living? If so, where do they live? Are they working? What is their work? Am an Orphan from children`s home. Tell us about your siblings (if any);Two one in class six the other in class eight. Tell the story of your life up to this point; I have gone through many challenges but I have hope since I will be able to complete my studies in New Dawn. I would like to be an engineer I hope to be able to help vulnerable children in our society. If you would like to help Paul, please provide us with your name and email and hit "SUBMIT" before clicking the "Continue" button below. You will then be asked for your payment information. On behalf of PAUL YONGO OTUI, THANK YOU!